Our farm figurehead is rather poorly. She has been booked into the Tractor Hospital (I must point out Farmer Mark states this should be called the agricultural mechanics) for some much needed TLC (Tractor Loving Care). Tilly captures the heart of every Co-worker who comes through our farm gates, she is the tractor everyone wants to learn to drive but currently is too “tyred” to farm! 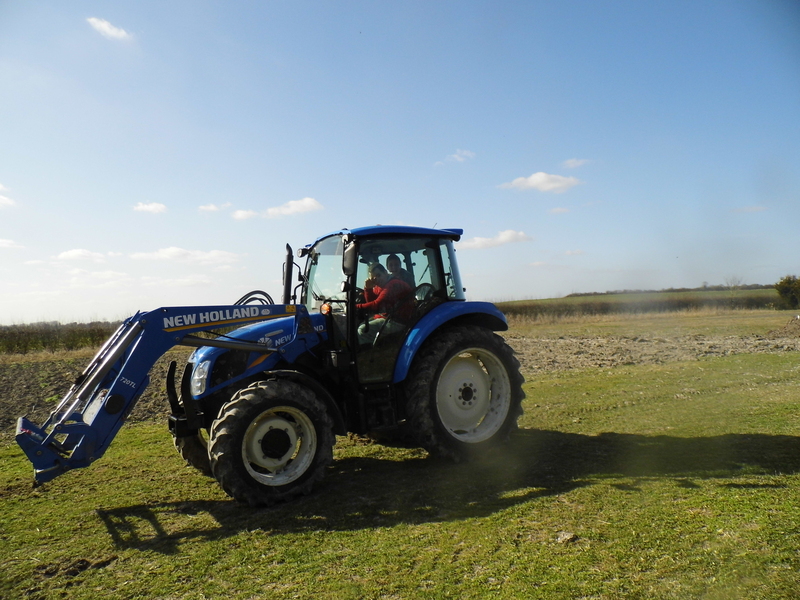 Tilly Tractor was purchased using our winnings from the ITV People’s Millions Big Lottery programme, with the regional Anglia news viewers voting in shed loads for our amazing project and helping us secure a much needed tractor. Since winning the Lottery Tilly has been used daily in all seasons and in all weathers and driven by everyone! Don’t buy those novelty socks, Christmas carol playing ties, stinky smellies that nobody needs this Christmas, why not donate a present instead? Tell your loved ones or your secret santa workmates that instead of a waste of money gift you donated instead to Tilly Tractor Aid? Make Christmas last all year around for The Prospects Trust, Tilly Tractor and all of our Co-workers who drive her around our acres. Tilly Needs You!